1. CUT OPEN A GLOW STICK AND SHAKE THE CONTENTS INTO A JAR. - ProudMummy.com the Web's Community for Mums. Home » Memes » Home & DIY » 1. 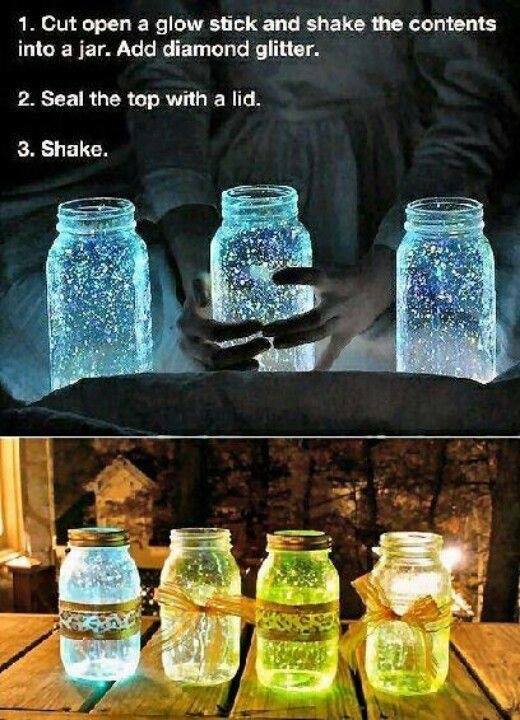 CUT OPEN A GLOW STICK AND SHAKE THE CONTENTS INTO A JAR. 1. CUT OPEN A GLOW STICK AND SHAKE THE CONTENTS INTO A JAR. 1. CUT OPEN A GLOW STICK AND SHAKE THE CONTENTS INTO A JAR. ADD DIAMOND GLITTER. 2. SEAL THE TOP WITH A LID. 3. SHAKE.